They first appeared in the Boston area, were originally pronounced “frap” and spelled without the accent é at the end. Consumers have been customizing unique frappés since their inception, with popular and trendy recipes such as the Absinthe frappe, popular in New Orleans. Celebrities like Britney Spears have helped to popularize the appeal of these specialty, ice-blended drinks, always being photographed with a cool beverage in hand. The frappe is loved internationally with regional variations like: Adzuki (red bean) Frap in Japan, Dulce de Leche Frap in Argentina and the Coffee Jelly Frap in the Philippines. The frappé was first sold in retail in the U.S. by a small Boston-based chain, Coffee Connection, in the mid 1980s. 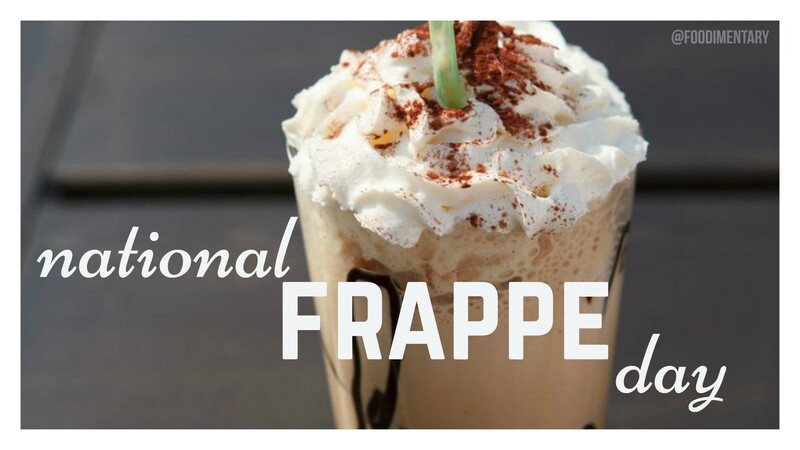 The frappé gained national popularity in 1995, when large retail chains started serving blended, frozen coffee beverages. 1806 Ralph Wedgwood of England received the first patent for carbon paper. 1950 Willis Haviland Carrier died. He invented the first practical air conditioner. 1956 Clarence Birdseye died in New York. In 1924, Clarence Birdseye, with the financial backing of Wetmore Hodges, William Gamage, Basset Jones, I.L. Rice and J.J. Barry, organized the General Seafood Corporation. The birth of the frozen food industry.